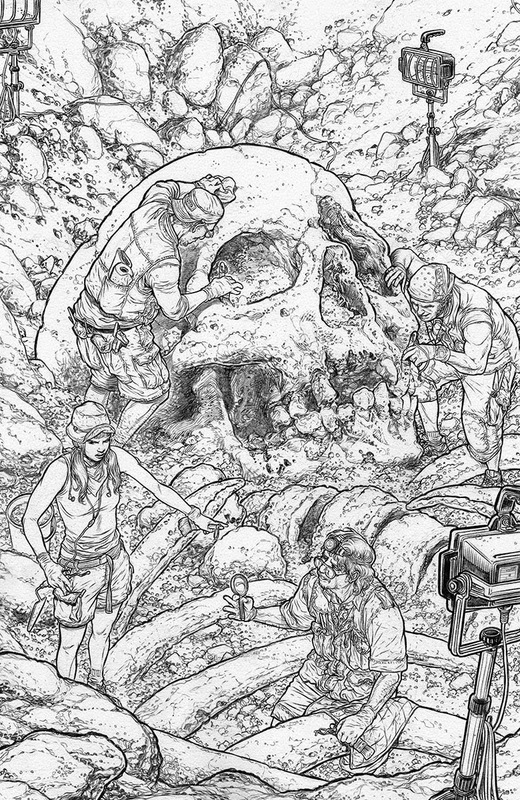 Fellowship Previews: Valiant Announces BOOK OF DEATH: LEGENDS OF THE GEOMANCER by Fred Van Lente & Juan Jose Ryp – Available Only With BOOK OF DEATH #1-4! Valiant Announces BOOK OF DEATH: LEGENDS OF THE GEOMANCER by Fred Van Lente & Juan Jose Ryp – Available Only With BOOK OF DEATH #1-4! 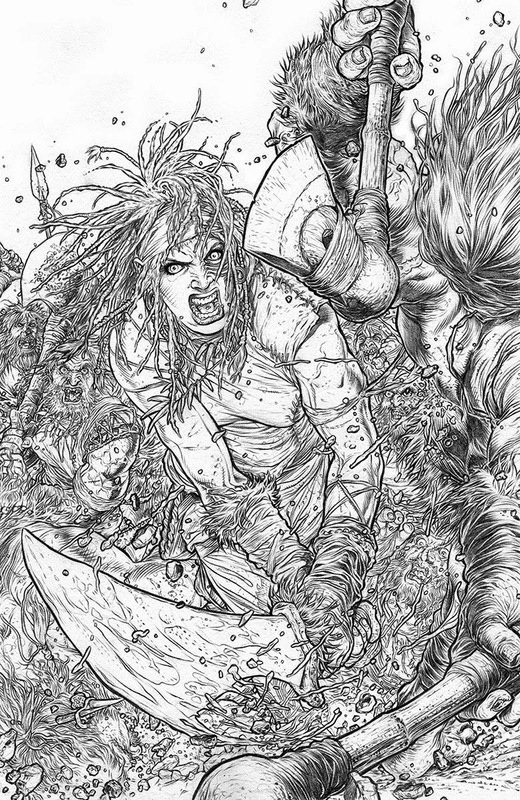 On the heels of BOOK OF DEATH – Valiant's epic, four-part event revealing the future fates of X-O Manowar, Bloodshot, Ninjak and more in July – Valiant is proud to announce an all-new, first-of-its kind, retailer-incentive companion series, BOOK OF DEATH: LEGENDS OF THE GEOMANCER, from New York Times best-selling writer Fred Van Lente (IVAR, TIMEWALKER, ARCHER & ARMSTRONG) and fan-favorite artist Juan Jose Ryp (Clone, Ghosted)! As the secrets within the Book of the Geomancer wreak havoc on the present and future of the Valiant Universe, discover the true history and lineage of the very first speaker for the Earth with an all-new series of never-before-seen stories that won't be collected in trade paperback! Created specifically to promote Valiant's upcoming BOOK OF DEATH event, BOOK OF DEATH: LEGENDS OF THE GEOMANCER will expand the mythology of BOOK OF DEATH's central character – a newly appointed Geomancer, the latest in a long line of mystics that speak for the Earth and shape the course of history – and chronicle the first appearance of the founder of her kind…Anni, the very first Geomancer! 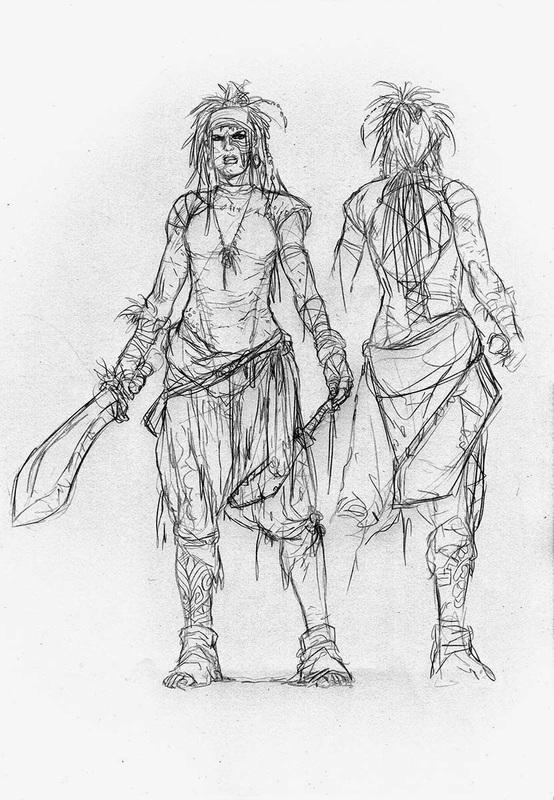 Out of the pages of BOOK OF DEATH, the origin of the first Geomancer and the sacred pact that swore her to the service of the Earth can finally be told…but, with it too, the source of the divine mysteries that have haunted her line for centuries. Has Anni's mission redeemed or corrupted the world that followed in their wake…and will the ultimate secrets of the Geomancers’ book doom us all in the end? "With LEGENDS OF THE GEOMANCER, Fred and Juan are crafting a dazzlingly beautiful, action-packed corollary to BOOK OF THE DEATH. This is the story of a character that is not only new to the Valiant Universe, but is also vitally important to its history – Anni, the very first Geomancer," said Valiant Editor-in-Chief Warren Simons. "LEGENDS OF THE GEOMANCER is designed to be something special and something distinct from your typical 'event' tie-in story," added Valiant Publisher Fred Pierce. "This is a little known story, the history of which is only known to a select few of the most important players in the Valiant Universe, and it's telling will mirror its method of distribution. This will be a rare series that we hope fans will seek, much as they did decades ago for tales like the original HARBINGER #0." 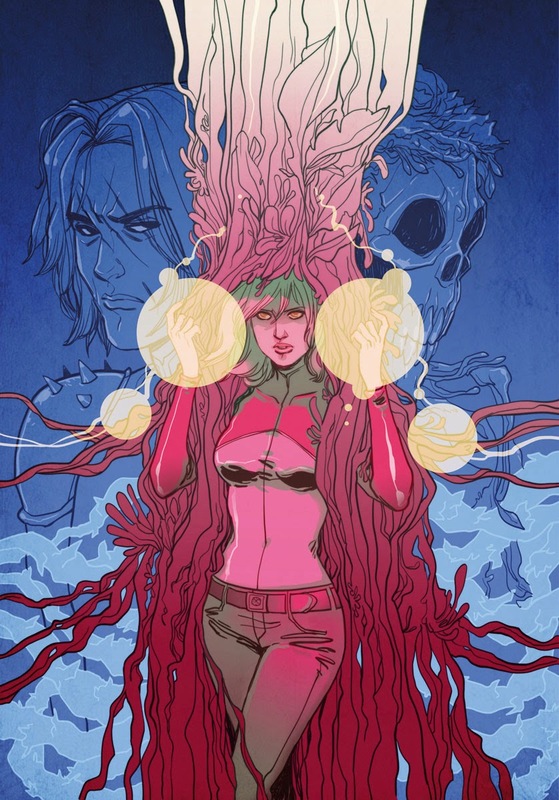 A special, retailer-incentive limited series, all four issues of BOOK OF DEATH: LEGENDS OF THE GEOMANCER will be printed in limited quantities and will only be made available to retailers who qualify based on their orders of BOOK OF DEATH #1-4. Fans interested in obtaining this special incentive limited series should contact their local comics retailer to pre-order their copy before the May 28th initial order date for BOOK OF DEATH #1 (of 4). Spanning eight issues total, the BOOK OF DEATH event begins in July with BOOK OF DEATH #1 (of 4) – the FIRST ISSUE of Valiant's blockbuster comics event from New York Times best-selling writerRobert Venditti (X-O MANOWAR, Green Lantern), superstar-in-the-making Robert Gill (ARMOR HUNTERS: HARBINGER, Batgirl) and visionary artist Doug Braithwaite (ARMOR HUNTERS, Justice)! Colliding the next two thousand years of history against the most powerful heroes of today, the summer’s must-read comics event starts here as a new Geomancer emerges to build a bridge to the future of the Valiant Universe! Then, the story continues throughout the summer with four standalone one-shots from an all-star cast of Valiant’s top talents - Jeff Lemire & Doug Braithwaite in BOOK OF DEATH: THE FALL OF BLOODSHOT #1; Matt Kindt & Trevor Hairsine in BOOK OF DEATH: THE FALL OF NINJAK #1;Joshua Dysart & Kano in BOOK OF DEATH: THE FALL OF HARBINGER #1; and Robert Venditti &Clayton Henry in BOOK OF DEATH: THE FALL OF X-O MANOWAR #1! This July, join Valiant superstars Robert Venditti, Robert Gill, and Doug Braithwaite as they begin a thousand-year journey into the future of the Valiant Universe…and rain, fire, blood and war on the heroes of today in BOOK OF DEATH #1 (of 4)! Then, Fred Van Lente and Juan Jose Ryp journey into the annals of prehistory to reveal the untold story of the Earth's sacred guardians in BOOK OF DEATH: LEGENDS OF THE GEOMANCER #1 (of 4) – in stores the same day as BOOK OF DEATH #1 (of 4)! Contact your local comics retailer today to find out how to reserve your copy!